Check out our Phoenix Multi-Fit banner displayed at F.W. Webb plumbing supply store in New Bedford, MA! The new Phoenix Multi-Fit is a stainless steel high efficiency gas fired commercial water heater. It will accommodate even the most difficult installations with lower clearance and multiple inlet and outlet connections, making it easier for replacement jobs. The fully condensing Phoenix Multi-Fit has up to a 96% thermal efficiency rating and comes in 199k and 130k BTUs. 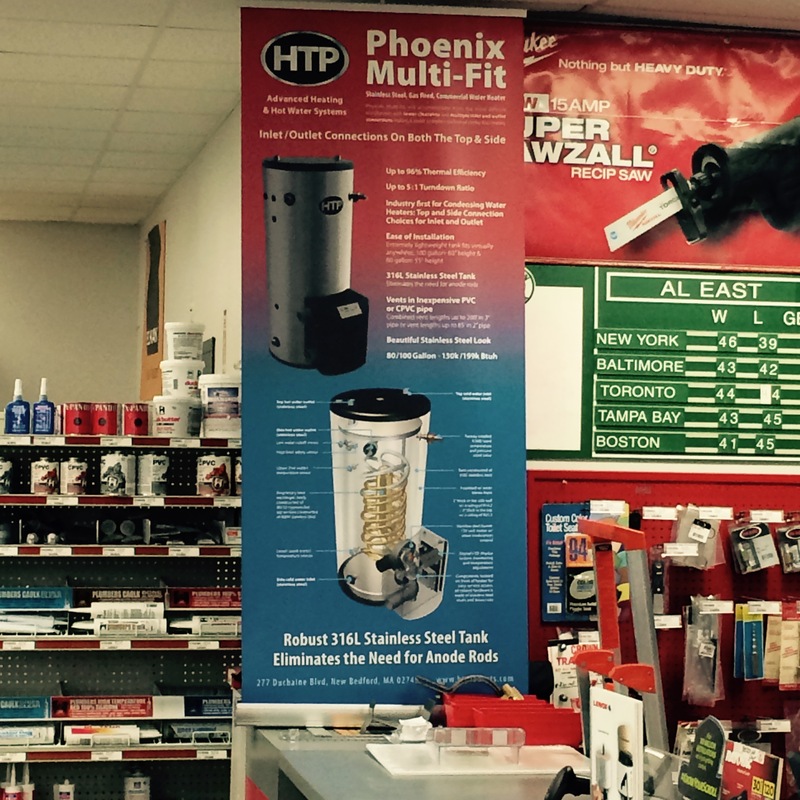 Interested in having an HTP product banner of your own? Check out our Sales Collateral page on our website!